2014 was a year of momentum and progress for many architects, contractors and developers, and we look forward to continued success in 2015. 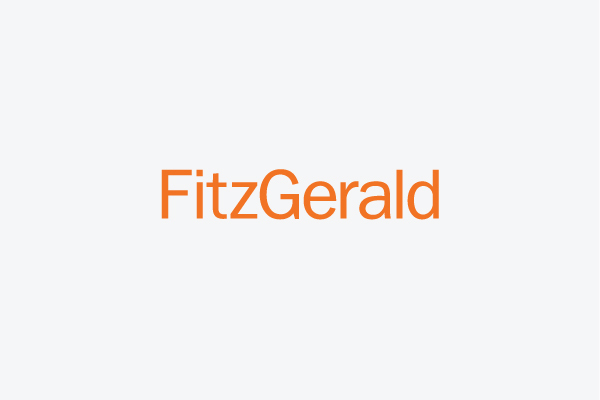 The serious economic forecasting is best left to the experts, but we’re ringing in the new year with some predictions and trends collected and discussed by members of the FitzGerald staff at every level. Here, now, we offer our observations and outlook for the 2015 transition and for the months ahead. In-office amenities have been on the rise for a few years now, but increasingly we’re seeing a building owner or manager re-position their buildings (and in some cases, pursue higher-class facilities) and develop more common-area amenities to attract major clients. 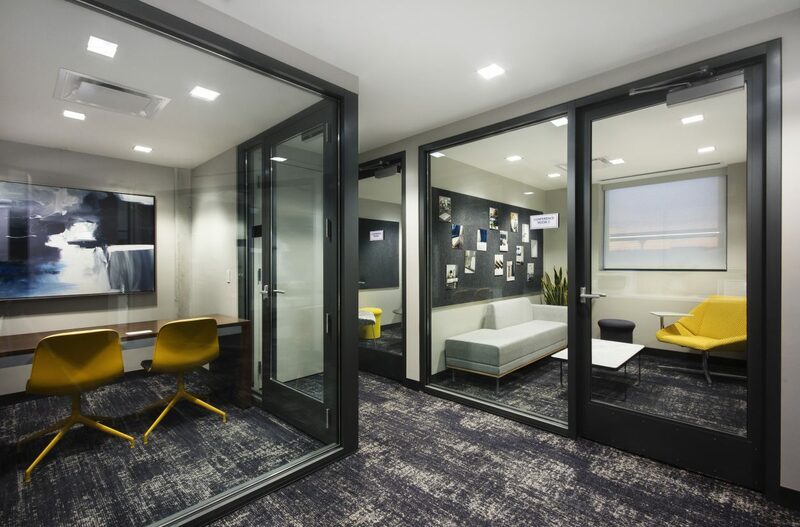 As corporations reduce real estate costs by decreasing the average footprint per employee, building owners are seeing an increased desire for a new amenity space that provides an opportunity to “touch down” and decompress, take a personal phone call, meet with a guest, or tackle some individual work. Inside the workplace, tenants are seeking a larger number of open collaboration spaces ready for technology (projectors, USB/power hookups) since the footprint of individual workstations has stabilized at a smaller-than-pre-recession size. Rather than a vanilla box with prefabricated cubicles, even the most corporate of clients is considering hip, creative workplaces with interesting use of color, furnishings, and open layouts. Unassigned workspaces are being built with integrated technologies that can recognize and coordinate employee communications and even inform an administrative assistant where each employee has chosen to work in the space. Tenants’ and Brokers’ interest in adaptations of existing industrial buildings into office spaces will continue in 2015, especially in the Google-seeded West Loop. Workplaces have seen a growth in amenity spaces for the last few years, but as technology allows remote work and a small business boom creates more and more independent business operators, we’re seeing an increased interest in true private and shared workspaces in multi-family buildings and hotels–offering residents and guests an extension of their workplace convenient to their home or lodging. Retailers and Merchandisers well beyond Apple have finally realized that a retail space has become a foot-traffic showroom to show off merchandise and let guests try things out before they buy, so lighting design inside even the smallest designed retail spaces has become a primary focus. In product merchandising this brings out the best in a product’s color and texture, and in fashion brands this gives the customer a stellar view of themselves in the latest garments. High-quality, high-end brands are enjoying a resurgence in response to our throw-away culture, and the high-end department stores are reflecting this in their layouts: stores like Neiman Marcus, Macy’s, Bergdorf Goodman, and Sak’s Fifth Avenue have all taken to showcasing those brands at the front of their stores where cosmetics and fragrances were historically placed. Brand recognition inside retail will continue to evolve; rather than overloading a space with banners and signs full of brand messages, designers favor subtle hints of the brand throughout the interior in unobtrusive ways–from tile patterns and color choices to layouts and foot traffic patterns. As the way we experience community is changing through social media, young people (singles and millennials especially) are increasingly in search of a greater sense of community where they live. Participating in programmed activities in an apartment building’s amenity space has lost the “lonely” stigma that was attached years ago and now stands as a popular way to network and meet your neighbors. Designers and Developers are grouping various amenities in close proximity to one another–even those with differing themes–to help create more opportunity for people to encounter each other. Building amenities have been expanding in apartment buildings for a few years now, but owners and managers are seeing real encouragement from resident surveys and leasing numbers that suggest that renters are willing and happy to trade in-unit space for more and better shared building amenities. A bonus to this shift is that entertaining guests shifts from within the unit (where neighbors complain about noise) to properly organized common areas! Lobby-level offerings in multifamily buildings feature larger package rooms to account for the continued growth of online shopping–some buildings even providing freezers and cold storage for grocery delivery. Developers and brokers are increasing their interest in outdated commercial buildings for conversion to apartments, condominiums, or hotel uses with their close column spacing, reduced infrastructure, and floor plate sizes. Location also plays a major role here, presenting new residential and hospitality opportunities in and around the CBD. 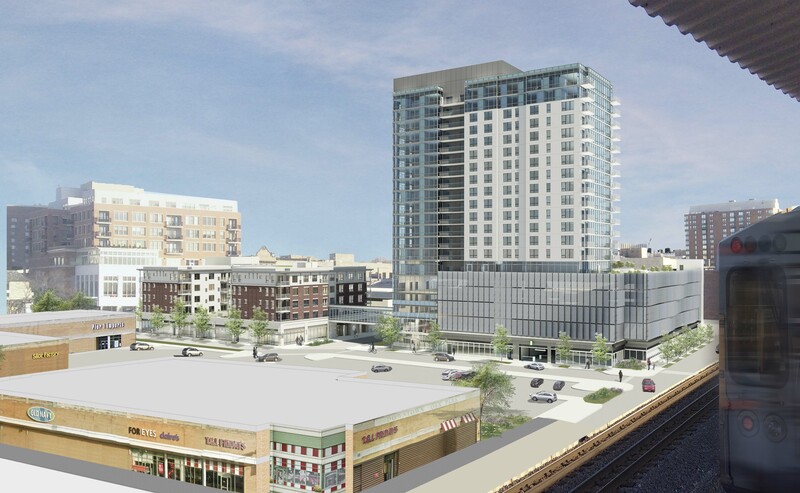 Transit-Oriented Development (TOD) remains a focus both in the city and suburbs as a segment of prospective buyers and renters bring fewer cars and embrace the convenience of multi-modal locations – flush with car sharing services, trains, buses, bike sharing, and walkable neighborhoods. We believe that as long as the City’s ARO decisions don’t create fiscally-unsound conditions for developers, our prediction from last year–that the less-developed neighborhoods like West Town, Logan Square, Rogers Park, Humboldt Park and Chinatown will continue to see robust investment and new development–will continue in 2015. Projects and announcements like the Stony Island Arts Bank in Grand Crossing and the future redevelopment of the Congress Theater in Logan Square will continue to create anchors of culture, commerce, and community. 2014 brought tremendous growth in suburban markets, and we expect that to increase in 2015 as developers see the proven feasibility of these sites and, in some cases, seek out alternatives to projects inside the City limits.